Moira Fitzpatrick, PhD, ND, FICPP, CHT is licensed both as a Clinical Psychologist and a Naturopathic Doctor. She has been with Pacific Pearl La Jolla since it opened doors in January of 2014. She also is Program Director of the Naturopathic Residency Program at Pacific Pearl La Jolla. She has practiced multiple forms of transformational psychology for over 30 years. During mid-life she returned to school to obtain a degree in Naturopathic Medicine to integrate a more holistic approach to healing. Dr. Fitzpatrick’s journey has been to discover the essence of healing both within herself and as a facilitator for others. Currently, she practices from an integrative systems perspective and incorporates mind, body, emotions and spirit to support each person break through to a new level of health. Her specialties include Natural Medicine, Women’s Health, Hormone Replacement Therapy, Complementary Cancer Care, Integrative Mental Health, Clinical Psychology, Transformational and Medical Hypnotherapy, Psychopharmacology. Dr. Fitzpatrick received her degree in Naturopathic Medicine from Bastyr University in Kenmore Washington. She had the opportunity to study with Tori Hudson and completed a residency in Women’s Health and Integrative Medicine at the National College of Natural Medicine in Portland Oregon. During this time, she followed both conventional and naturopathic doctors and recognized that good medicine includes both the best of natural and conventional medicine. Dr. Fitzpatrick founded an integrative medical practice in Seattle Washington, where she served as a primary care provider, focused on women’s health and functional endocrinology. She has spent considerable time working with individuals diagnosed with cancer. This includes education, working with the conventional medical team, offering support as an individual goes through surgery, radiation and chemotherapy, plus knowing which herbs and supplements enhance treatment and which are contraindicated. She offers a comprehensive approach for individuals struggling with emotional issues through integrating nutritional support, mind-body tools and providing medications when needed at the lowest effective doses. Dr. Fitzpatrick is a Board-certified Diplomate-Fellow in Psychopharmacology through the International College of Prescribing Psychologists and Prescribing Psychologists’ Register. Dr. Fitzpatrick received her doctorate in psychology from the California School of Professional Psychology in San Diego California. She founded a therapeutic community system for people with serious mental illness and changed the paradigm of healing for these individuals and their families. The community system has continued to evolve beyond where she left it many years ago. She is trained in many forms of Clinical Hypnotherapy, including transpersonal, NLP, Ericksonian and Medical hypnosis. She is Program Director of the Naturopathic Residency Program at Pacific Pearl La Jolla, which is a CNME Approved Naturopathic Residency Site, working in collaboration with Mimi Guarneri, MD, FACC, ABOIM. Teaching and the training of young professionals is of significant value for Dr. Fitzpatrick. She spent time as the Director of Clinical Training and was a part of the faculty of the American School of Professional Psychology in Point Richmond California. 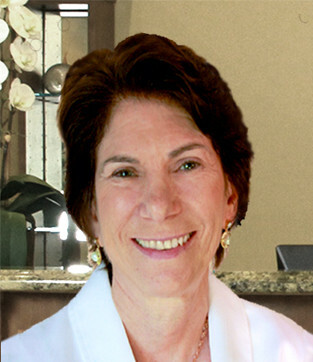 Before moving her clinical practice to Pacific Pearl La Jolla, Dr. Fitzpatrick was the inaugural vice president of Bastyr University in San Diego, California, which is a school of naturopathic medicine. Dr. Fitzpatrick is on the journey of expanding consciousness and changing the paradigm of healthcare. Her passion is to empower and partner with patients to help them achieve both happiness and health goals.